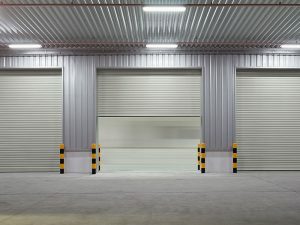 We sell, deliver, and install garage doors for most any type of dwelling in the greater Chicago area. Doors come in standard sizes and also can be customized to fit the installation requirements. AAA will provide the solution to replacing the door on your existing or brand new commercial or residential garage. Your new garage door includes all of the necessary hardware and optional accessories such as springs, door opener and transmitters. Door product lines feature sectional galvanized steel raised-panel architecture. Options include insulated and non-insulated panels. Window panels can be added to improve indoor lighting and accent the exterior. AAA Overhead Door is an authorized dealer and installer of Clopay® Garage Doors. Visit their web site and use the interactive “Visualizer” door selection feature. An AAA installation offers a myriad of garage door options, styles and colors to dress up your historic home. As an alternative to galvanized steel, a custom wood door may be the best choice for historic structures. During restoration, you may want to stay as close to the original as possible. As with residential installs, commercial and industrial grade installations are completed with top-quality materials and old-world craftsmanship. There are also many options to select from. 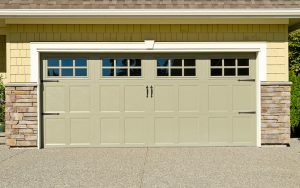 Save your heating and cooling dollars by installing a new fully insulated sectional door on your garage. Insulated galvanized steel may be the best bet for cutting down on your energy bills. Steel and wooden doors are both available. For your garage door service and installation, call AAA today! We will come to your location at your convenience for your free estimate with samples and pictures. © 2018 AAA Overhead Door.